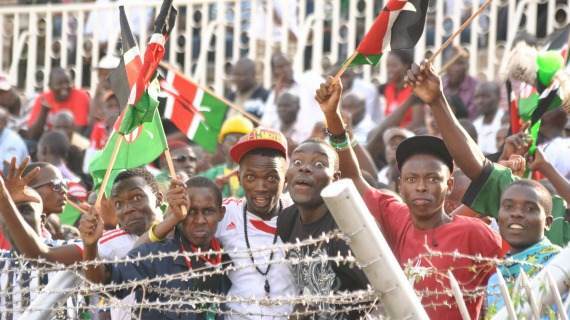 Sometime in November of 2014, FKF chairman Sam Nyamweya took the podium and in front of TV cameras insisted that the government was letting Kenyans down by not helping fight hooliganism. “We have been disappointed in the past because police have failed us. Look at the case on Sunday (Gor versus AFC Leopards GOtv Shield final). Police reported to duty late at 11am. The dynamics surrounding hooliganism are complex and it’s only the police who have the powers to arrest and prosecute. The federation doesn’t have the capacity and neither do clubs,” Nyamweya added. Sports minister Hassan Wario who was at the same meeting was livid. When he took to the podium, a visibly stung and irritated Wario, hit back, blow by blow. “As a government we cannot take rubbish of finger pointing when mistake is on your side (federation and clubs). The government does not throw stones, neither does it uproot chairs in the stadium.“We give you our facilities to use in good state and you destroy it. During the Gor Mahia and AFC Leopards match I saw a Gor fan uproot a chair and hurl it. Is that a failure of the government,” he charged. Kenya Police are poorly trained and poorly equipped to handle crowd trouble. The only response they can muster is to toss tear gas canisters into the crowd. They toss tear gas canisters at the slightest sign of trouble. Even when there is pushing and shoving amongst a small section of the crowd, they toss tear gas. This only serves to exacerbate the situation. This is precisely what happened when Gor Mahia played Sofapaka at the end of 2014. There was commotion in one section of the stadium and police responded with tear gas. This caused panic as fans scrambled for the exits. And there were children in the crowd. Some people who were waiting outside the stadium too advantage on the resulting commotion to loot businesses outside the stadium. It seemed as if there were some people who were simply waiting outside the stadium to take advantage of any sign of trouble. In 2015, there was an epidemic of woman stripping in Nairobi and its environs. This promptly ended when public arrests were made and harsh sentences were leveled against the perpetrators. 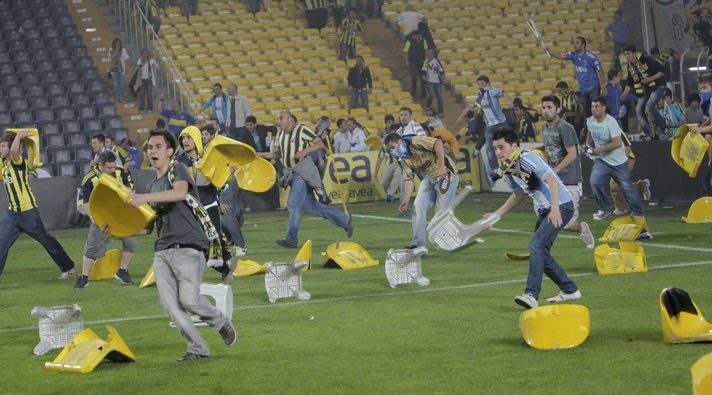 Hooliganism is no different. There are pictures and videos of fans committing acts of hooliganism. It should be very easy to identify and arrest them. If you start arresting hooligans, then other hooligans will realize that impunity does not apply to hooliganism. Install CCTV Cameras in stadia to identify hooligans. The amount of money generated by both City stadium and Nyayo stadium is enough to install CCTV cameras. The safari sevens along generates upwards of Ksh 20 million of which 20% goes to the stadium managers. This money can be used to install CCTV cameras which can be used to identify hooligans. Once hooligans are identified they can either be arrested or banned from stadia. The only reason CCTV cameras have not been installed is due to misappropriation of funds that are generated by stadia. This entry was posted in Kenya Football articles and profiles, Kenya Sports news and commentary and tagged afc leopards hooliganism, Gor Mahia hooliganism, Grading Kenyan sports associations, Hassan Wario, sam Nyamweya. Bookmark the permalink.